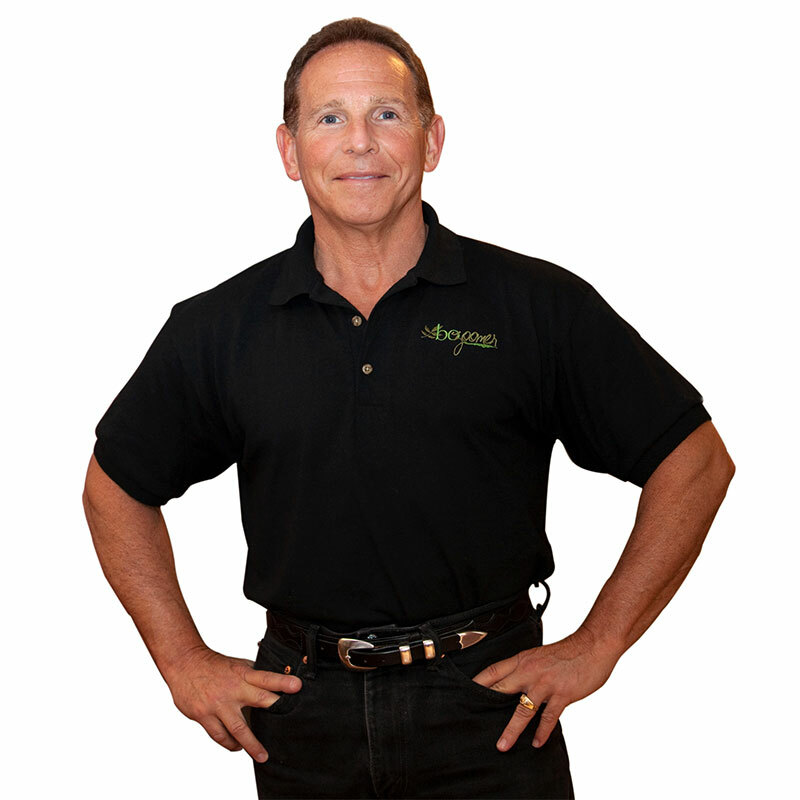 Listen to Michael explain Just 3 benefits and more. There is really no such thing as a complete 1 per day formulation, they usually lack sufficient levels of key nutrients, complex vitamins and important minerals such as calcium and magnesium. Furthermore, nearly all of the Vitamin C and B-Complex can be used up by the body within a matter of hours after taking the single tablet. Formulas that are designed to be taken in doses of two or more tablets daily help correct this problem, by taking one tablet with each meal, nutrients are being consistently replaced as the body metabolizes them. 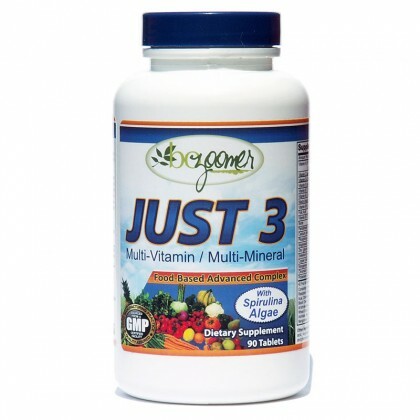 Just 3 is simply that, one of the most complete 3 per day formulas on the market providing a high potency blend of vitamins and minerals along with a complete food based complex including fruit and vegetable blends and thing like spirulina. Imagine a plant that can nourish your body by providing most of the protein you need to live, help prevent the annoying sniffling and sneezing of allergies, reinforce your immune system, help you control high blood pressure and cholesterol and help protect you from cancer. Today, these nutrient-rich algae are being used around the world to help treat illness and are being seriously discussed as a sustainable source of food with the potential to end world hunger. Unlike most plants, which need to be cultivated and nurtured, it’s a survivor, able to withstand extreme temperature variations and neglect and still thrive. It’s being successfully used to treat a wide variety of ailments, including those who’ve been poisoned by arsenic-contaminated water. Raspberry, in addition to our impressive list of herbs and enzymes listed below. JUST 3 was not only intended to balance out our weight loss program but to offer you this collection to complement your balanced daily meals and your supplement program as well. This collection is superb. Balance By incorporating Just 3 into your diet, you develop structure for much needed nutrients. We hope that by helping to lay a foundation for the new you the natural way, you will continue to follow a healthy nutritional supplement plan in the future. Vitamin A for example is important for vision, regulates genes, supports the immune system and is essential for red blood cell production. Biotin or Vitamin B7 include improved metabolism, tissue maintenance, healthy skin, weight loss, relief from heart problems, alopecia, Parkinson's disease, Rett syndrome and vaginal candidiasis. It also aids in synthesis of vital components and helps in maintaining blood sugar. Folic acid is essential in pregnancy. It can prevent and reduce the incidence of neural tube defect. Folate is involved in the synthesis, repair and function of DNA, a person’s genetic map, and there is evidence that a deficiency of folate can cause damage to DNA that may lead to increased risk of breast, pancreatic and colon cancer. Inositol in the human body plays a major role in preventing the collection of fats in the liver, as well as promoting healthy hair growth. The presence of the nutrient also aids in efficient processing of nutrients into the conversion of energy, which in turn helps the body to maintain a healthy metabolism. It also can be considered brain food, as the nutrient is necessary to properly nourish the brain. It is required to keep the body running smoothly, and can cause a number of side effects when levels are low. A deficiency can lead to constipation, high cholesterol, problems with vision and general eye health, and hair loss. Kelp is rich in vitamin A,B,C,D,E and K and contains vital minerals like, iodine, magnesium, potassium, calcium, iron, zinc, selenium and phosphorus. It can help alleviate the problem related with the thyroid gland because of its rich source of iodine. It can also be beneficial for pancreas and prostate health and help to prevent the growth of tumors. Safflower Powder helps in boosting immune system, thereby giving strength to fight against diseases and infection. It is useful for relieving the symptoms of fever and is used as a drug for treating measles. Safflower is known to be a good uterine tonic and hence, is used for treating premenstrual syndrome and correcting irregular menstrual cycles. Since it contains very low saturated fatty acids, safflower oil helps in reducing the level of cholesterol in the blood. Safflower is considered to be a healthy choice for losing weight, improving heart health and maintaining healthy skin and hair. Lecithin is a necessary component of every cell in the human body. Considered a keystone in the construction of cells, lecithin prevents the hardening of cell membranes. Healthy cells lead to a healthier body, and the membranes are a critical part in monitoring a cell's intake and output. In addition to the cardiovascular benefits of lecithin, there are indications that lecithin helps to restore livers that have been damaged as well as working with neurological functions such as memory to improve the brain's effectiveness. Wheat Grass is a plant grown from the Red Wheatberry that is moving to the top of the nutritional tree. It’s an incredible health elixir. The chlorophyll in wheatgrass has strong antioxidant properties that can strip out free radicals, neutralize toxins, and allow the body to balance itself and operate at maximum efficiency. It properties are important for cardiovascular and immune system function, strengthening heart and arterial tissue, lowering blood fat, and useful in the treatment of degenerative disease and reducing inflammation. Goto Kola as a brain tonic is said to aid intelligence and memory. It strengthens the adrenal glands and cleanses the blood to treat skin impurities. It is said to combat stress and depression, increase libido and improve reflexes. In India, Gotu kola is regarded as perhaps the most spiritual of all herbs. Growing in some areas of the Himalayas, gotu kola is used by yogis to improve meditation. Gotu Kola can relieve high blood pressure and helps the body defend against various toxins. It is used to treat rheumatism, blood diseases, congestive heart failure, urinary tract infections, venereal diseases, and hepatitis. It has a positive effect on the circulatory system. It improves the flow of blood while strengthening the veins and capillaries. It has been used successfully to treat phlebitis, leg cramps, and abnormal tingling of the extremities. It soothes and minimizes varicose veins and helps to minimize scarring. Suggested use: As a dietary supplement take one (1) tablet three times daily with meals with an 8 oz. glass of non-chlorinated water. See container for further instructions. Allergen Warnings: Contains Soy (Soy Isoflavones) and Wheat (wheat grass, octacosanol). Some reports indicate that an overdose of Safflower can cause severe problems in pregnant women or even miscarriage. It has also been blamed for causing a thinning of blood, so people with bleeding conditions like ulcers or taking blood thinning medications may wish to consult with a physician.